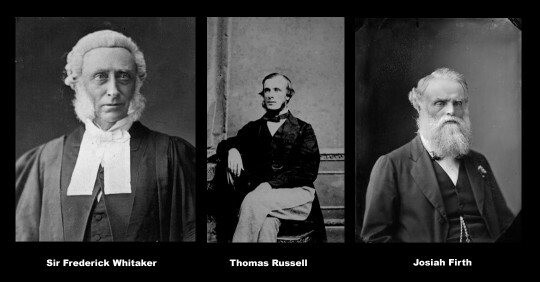 Architects of the Waikato War & land grab, the Crown confiscation of Waikato-Tainui lands, & Hamilton’s foundation as a military settlement (1863-64). The birth-time of the contemporary era, our times. These men went on to control hundreds of thousands of hectares in the Waikato hinterland as well as their Hamilton investments, local Parliamentary seats & council. To some they are entrepreneurial heroes, to others profit-driven ‘bad buggers’, but they were the founding fathers in so many ways. Political & business pioneers certainly.